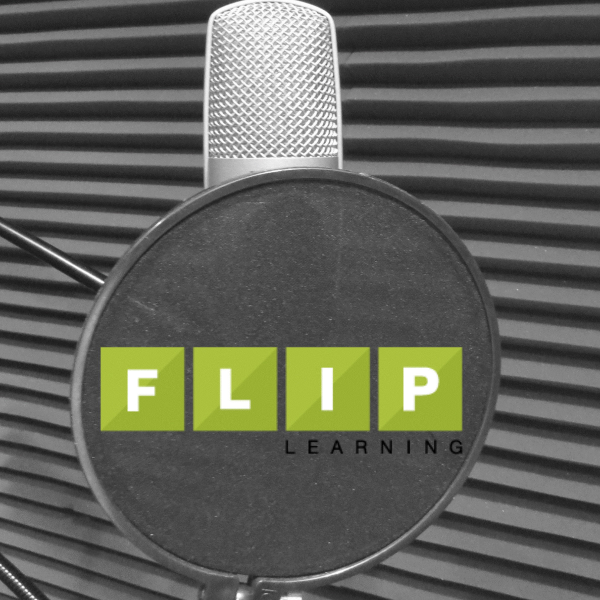 How two educators flipped a training session and, in doing so, flipped a paradigm. That was the first communication, an e-mail, that I received from Brian. It had no formal introduction. No, “Hi everyone, glad to be on board.” I was cautiously optimistic. Within a week, I made my way to his office to size him up. I subtly used my position as union vice president to indicate that I could engage in different types of conversations about my district. The one that he was new to. The one that he invaded without introduction. After a great educational conversation, I left Brian’s office wishing that he was a colleague of mine in the science department, not an administrator. But wait. Brian was a colleague of mine. He had great ideas, and he listened to mine. Why couldn’t I bounce ideas off of him? Oh, that’s right. He was an administrator. He was observing me, judging me. He was not part of the dark side; he was the dark side. How could I reconcile this conflict? Brian’s hire coincided precisely with my headlong dive into flipped learning. Flipping a classroom requires two skills that are difficult for most teachers: you must place your trust in your students and you must check your educational ego. I learned early on that if I wanted flipped instruction to work, learning had to be driven almost entirely by the students. When I stopped viewing myself as the keyholder of knowledge and instead started handing out keys to learning, my students began to drive by themselves. So how does any of that relate to Brian’s arrival? Before flipping, I viewed administrators as most teachers do; they were people who made little-more-than-arbitrary decisions about my teaching. They were my keyholders. But because I flipped, I made a conscious decision to see Brian not as an arbitrary-decision-maker, but as a key-giver. By accident, I flipped my own educational perspective. Shortly thereafter, our professional relationship was first tested as our district was preparing for its inaugural “Talking Tech,” an EdCamp Style full day PD that Brian brought to the district. I took that PD as an opportunity to take my first active role in presenting to my colleagues. As I prepared, I sought Brian’s opinion often. He always listened with fidelity and gave actionable feedback, he only guided me through my preparation, and he supported me when it wasn’t how he would have done it. Brian and I are the same! See, Brian handed me the keys to my part of “Talking Tech” in the exact way that I hand my students the keys to their part of science. He trusted that I was doing my best job, and I have to do the same thing with my students. 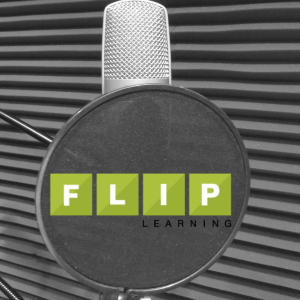 Over the next three years, Dave and I found ourselves in conversations about teaching and learning, leadership, professionalism, and, his newest venture, flipping instruction. That’s really where our story begins. For the uninitiated, flipping education isn’t exactly new, and its legs are growing. 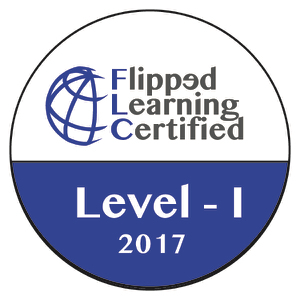 Basically, flipped educators take the content traditionally taught in the classroom and, well, flip it. Now, content is shared with students via videos, screencasts, or podcasts before students come to class, thereby protecting the very time so many of us see slip away during traditional instruction. As a result, Dave and his kids engage in meaningful learning activities based on the students’ experience before they ever enter his room. In short, Dave began to trust his students to take responsibility for their own learning. Since then, he has become our resident flipped education advocate. 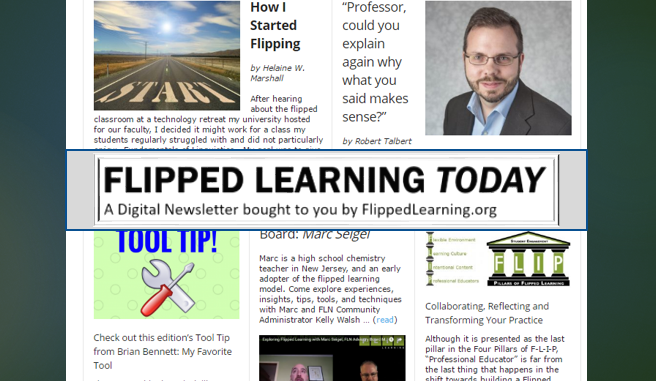 He is a fixture at area Edcamps (at which he once hosted a session with a population of one because a young teacher was so excited to try flipping); he has presented at FlipCon in Texas; and he has started his own blog, flippinged.net. His success, and that of his students, has been meteoric and inspiring. I’m proud to have had a front row seat. About a month ago, we wrapped up our first co-flipping experience. We took what once was a dreadful “sit and get” for new teachers, on the Danielson observation framework, and flipped it. For the first time, our new teachers would receive the information two weeks before they would normally arrive, on the second day of their summer orientation. We also decided to invite teacher leaders from the district to serve as ambassadors to each new teacher group. When we screencasted the training, we did so based on scribbled notes Brian took. We didn’t worry about what the other was going to say or how it would be received. Dave didn’t tiptoe around instructional concerns because he was sitting next to an administrator, and Brian didn’t mince words about what administrators expect to see during a quality lesson for fear of alienating teachers. Moreover, when we invited those teacher leaders to act as ambassadors, not one of them asked what was in it for them or contacted the union president to see if it was okay to consort with the dark side. What we did, however, was more than flip a training. We modeled for new staff what a dynamic, professional relationship looks like. It wasn’t the explicit goal of the training, but our screencasts demonstrated a powerful educational relationship. If we return to Dave’s success through flipping his instruction and apply it to our first joint venture, one resounding, if not terrifying, factor is implicit: trust. Consider for a second the myriad things that could go wrong despite our best efforts: folks not preparing ahead of the training; colleagues looking sideways at the practice; administrators not supporting it. Despite it all, we went for it because we trusted all of those moving parts. Brian has inspired, among other things, a mantra that he (probably) doesn’t know is a direct result of our interactions: Administrators must view teachers like teachers view students. I would like every administrator to say that they trust me to do a great job, even if it’s not the way they pictured it getting done. Students want the same from their teachers. The greatest learning happens when the freedom to fail is an acceptable, not punishable, option, and where trust is implicit. I want this for my students, and I believe Brian wants this for his teachers. Brian is not the Dark Side. He is a colleague, key-giver and, I hope, friend. And all this happened because I flipped not only my class, but also my educational perspective. As administrators, so much of what we try to do with our teachers should have very little to do with us. Our relationships aren’t orchestrated in back alleys with groups of self-serving educators. Rather, they are something for which we should strive daily. So whether we’re flipping the script on how we present information to our kids or on how administrators and teachers interact, one immutable fact remains: without implicit trust, no amount of flipping will matter. Great work Dave and Brian!!! And “Wacky” does not come close to covering it. 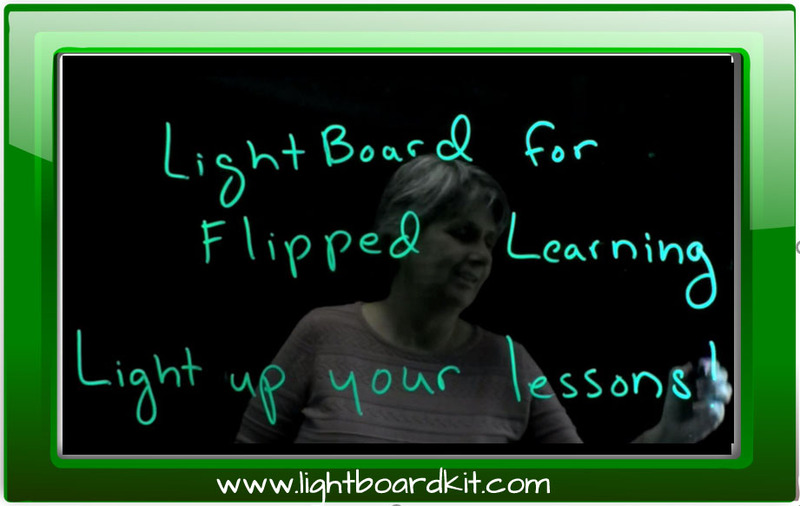 Matt~Thanks for the kudos and congrats on your own flipped experience. Full disclosure: I am really a passenger on this journey. Dave has really flipped more than his instruction, and I am fortunate to be an invited guest. Hopefully, this is not the last you hear from us. Matt – thanks for the kind words, and don’t listen to Brian too much. At any point he could have put an end to any of what we were doing and he believed that what we were doing had value, so he allowed it, as he has with all me practices. At any moment an admin can make or break a “flippable moment” and he has never done it.